Roger Federer keeps going, and going, and going. Last Sunday, he won Rotterdam, crushing Grigor Dimitrov. 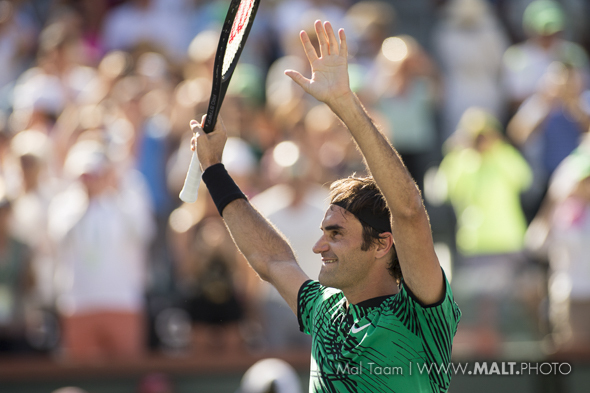 The 36-year-old Federer is No. 1 again!!! He’s been at the top for a record 303 weeks and counting … and he started 14 years ago after he won Wimbledon for the first time. Last year, he won the Australian Open and Wimbledon. This year, he won the Aussie again. He has won 97 events. Ka-boom. Another fine win by Anett Kontaveit, who beat Sam Stosur in three sets. She is pretty young and she is improving week to week. Caroline Garcia continues to display a blossoming game , beating Lucie Safarova. Frenchwoman Garcia realizes that she can move up to the net and put away easy shots. She does it frequently, transferring her doubles talent to singles. If she continues to do so, she will have a chance to win a major this year. Maybe at RG? Can anyone rival Federer in 2018? Roger Federer rolled back the years winning his 20th Grand Slam title when he lifted the Australian Open crown just days ago but already people are talking about what the current No. 2 could achieve over the course of the rest of 2018. Many have labelled the 36-year-old as the greatest male tennis player of all time for a number of years, and even more so after victory in Australia. But will anyone be able to rival him over the course of the year or will he once again be the dominant force? Many people had written Federer off, especially in 2016 when he shut down for the second half of the year. This, in the eyes of many, shows just how remarkable Federer has been since. He’s won three Grand Slam titles in just over a year and is proving that age is no barrier. He was around when the likes of Pete Sampras and Andre Agassi were playing and he still has the ability to mix it with the likes of Andy Murray, Rafael Nadal and Novak Djokovic today. This sets him apart right now. Federer knows his limitations, he knows that he’s no longer in his prime and when approaching tournaments he has said himself that in no way should a 36-year-old be declared as favourite. However, he looks after himself healthwise, staying fit but taking breaks when necessary. Federer has struck the balance of training, competing and resting and this has allowed him to in some ways keep up with the younger crowd. You could say that Federer’s success in his younger days came through an unbelievable ability to play tennis. Federer is one of, if not the most naturally gifted tennis player of all time, and this is what has taken him right to the top and seen him stay there for a number of years. However, Federer’s success now is determined on discipline. Discipline to look after himself, to train and to rest. It is this discipline which is driving him through his twilight years in the sport, and this has seen him topple a lot of younger players who lack that necessary mental toughness in some way. 2018 has started in great fashion for Federer and it could certainly be a superb year for the Swiss. However, he is going to face stiff competition over the course of the season no doubt, especially from those slightly younger than him who will have the fitness to go the distance in tournaments. The likes of Rafael Nadal, Marin Cilic, Andy Murray and Grigor Dimitrov will all be hoping to pick up some Grand Slam wins in 2018 and this could be at Federer’s expense. Federer and tennis fans can check out all the latest news and betting opportunities at the home of online betting: betting.com, especially if you fancy placing a bet on the Swiss player winning at Wimbledon. You can’t write Federer off though as he looks to pick and choose the events he plays at. This means he should be far more durable than expected over the course of the year and as fit as those he ends up facing at tournaments. If he can stay injury free, fit and disciplined over the next 12 months, there’s no reason why he can’t yet bag further Grand Slam glory. 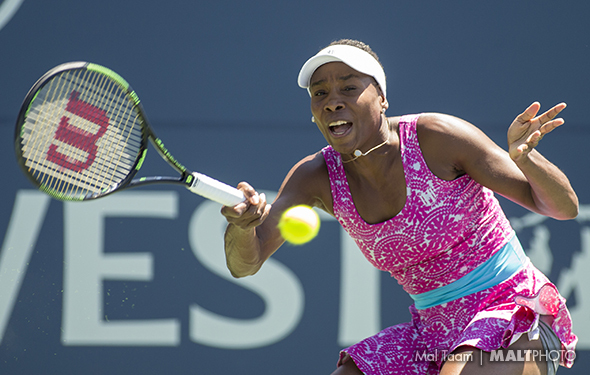 Seven-time Grand Slam champion Venus Williams has been playing for 20 years, and at times, she breaks down, but this weekend in Asheville, North Carolina, she was into it and very excited. She won two singles, and she bested Richel Hogenkamp of the Netherlands. Her backhand is incredibly strong, she returns very well and her first serve is massive. Williams was in a tough first set until Richel Hogenkamp seems to lose concentration, banging a ball into the stands at 5-5. Once that game slipped out of the Dutch player’s grasp, she didn’t offer much opposition. Venus finished off the clinching match 7-5, 6-1. Yes, she has aged. When she walks on court and she is feeling good mentally, then she can be patient. Venus not only won twice in singles. The still rising CoCo Vandeweghe grabbed won her match, crawling her way back to win Saturday in three sets. Believe it or not, Serena Williams returned, one year after she had a child and she couldn’t play. She and Venus lost in doubles, with Serena looking rusty and not ready for competition, even against Lesley Kerkhove/Demi Schuurs, playing together for the first time. On April 21-22 in the semis, the U.S. has to travel to France, which beat the Belgiums. Do the Williamses want to play in the Fed Cup again? Possibly, but they have to go to Europe, and while Venus goes everywhere, Serena doesn’t like to travel all the time. That is a toss-up. And yes, even though France is always very good, the Americans are favored. At least for now. It was very close, but finally, Kristina Mladenovic got her head straight and she won all three matches. During the last six months in 2017, she couldn’t play at all, losing and losing, after she had a tremendous first five months. And then she fell down, and further down, and even more further down. But now, Mladenovic is more comfortable, at least in the Fed Cup. At home in France, she will be very pleased to be in front of the massive crowd. The talkative Alize Cornet couldn’t play this weekend because she was suspended after she missed three out-of-competition doping tests. It is unlikely that she would be able play in April. With Pauline Parmentier losing, maybe the French will bring in the 21-year-old Oceane Dodin? Possible. The Czechs win every singles easily, as they have an incredible depth. 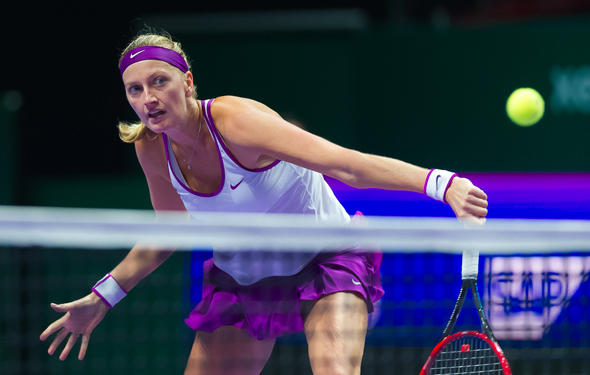 Once again, in Prague, Petra Kvitova cracked Belinda Bencic 6-2 6-4 and they took it easily. It appears that Kvitova has become more consistent, she is moving the right way, and she is returning very well. This season, she has a chance to win another major as she is very motivated. In the next round, they have to play Germany, which advanced without its two top players, Angie Kerber and Julia Goerges. We would think that against the Czechs, who have been very strong for years, the Germans will be challenged. It should be a terrific contest. It came to the very end, and the Germans with the longtime veterans Anna-Lena Groenefeld and Tatjana Maria overcame Lidziya Marozava and Aryna Sabalenka of Belarus 6-7(4), 7-5, 6-4. As Groenefeld said, “We just kept going. … For me this is the best win for my country.” But the Germans will need to bring their best to deal with the Czech Republic.